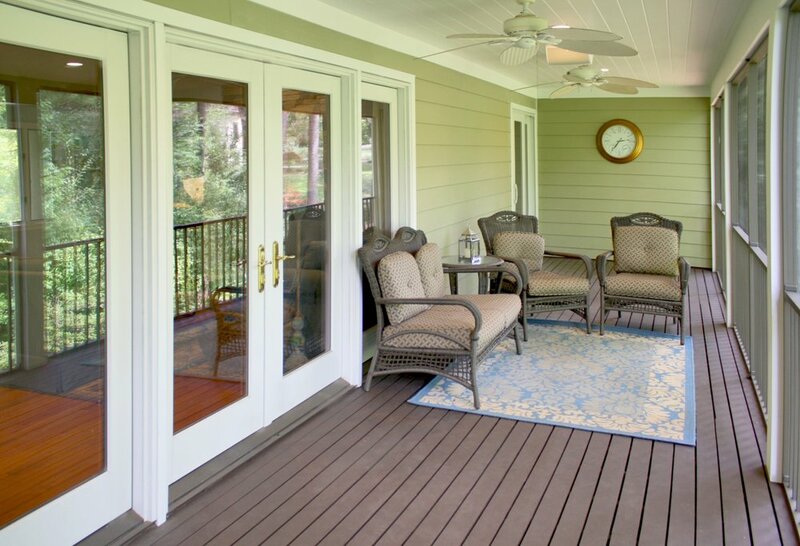 Give your home extra flourish with a new deck or patio area. A&E Construction's patios provide custom outdoor entertaining spaces with character, dimension, and lasting durability. From open deck areas with distinguished winding staircases to classic backyard patios, we create versatile and attractive outdoor spaces. A&E Construction's Princeton decks portfolio includes two story decks, classic wraparound porches, lush pool-side patios, and apartment building decks & staircase additions. 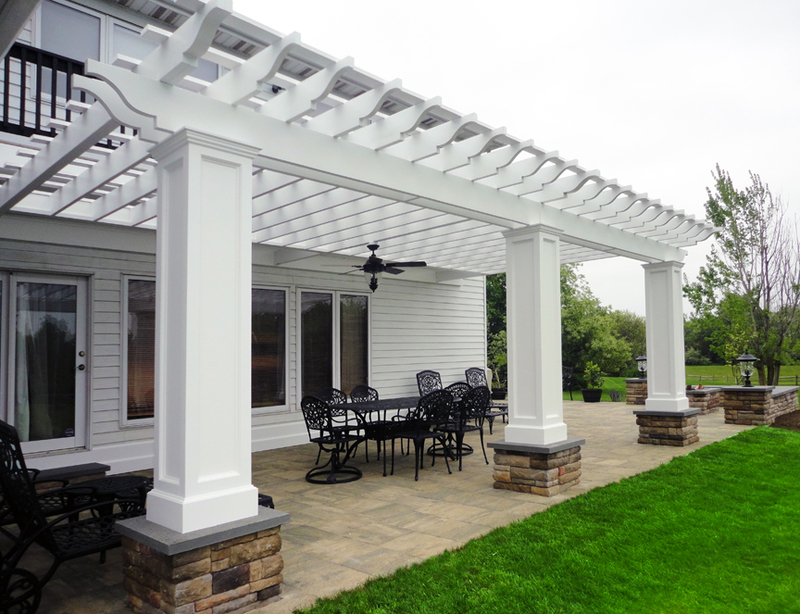 By focusing on providing you with plenty of space for entertaining, walkway access, durable materials, and quality construction, A&E has created better outdoor living for clients in their local NJ patio projects. 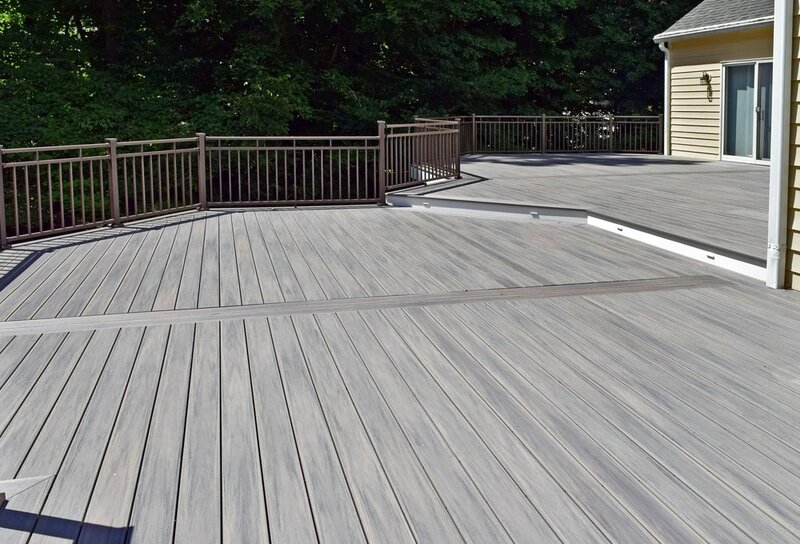 A&E Construction's Pennington deck renovations feature quality building materials and custom designs that can add the perfect finishing touch to your home. 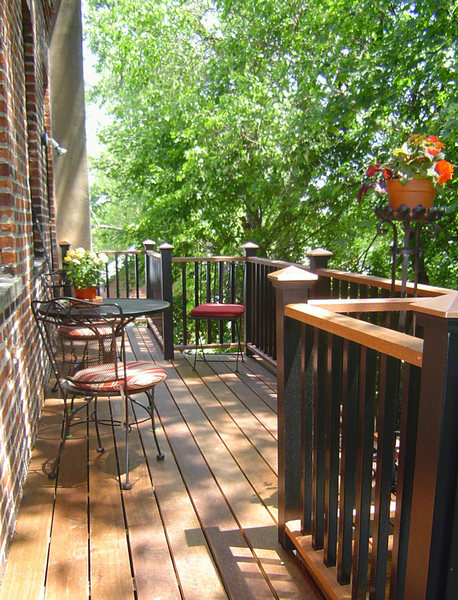 Check out images of our decks and patios below. Backyard Retreat! This gorgeous deck features multiple levels and more than enough space to gather and entertain. Wolf Decking in silver teak with Westbury aluminum in bronze railings provides not only style but function and durability! Post cap, railing, and stair lighting provide safety and create a beautiful atmosphere to enjoy your deck at night. Angled swivel mounts allow railings to be installed at various angles with ease. This enclosed porch was constructed as an addition to the back of an existing home. The panoramic view and fresh breezes make this porch addition the perfect spot for entertaining friends and family. EP Henry Chiseled Stone pavers in Slate Green. EP Henry Breckenridge stone is used to create the Cast Stone Wall and Firepit. This home renovation project included the addition of a new pool house including a full kitchen, and also a covered patio area with brick fireplace. This deck project involved the addition of a new deck to an existing building as part of the conversion of an old factory into living quarters. A herringbone brick pattern contrasted with stark white benches and columns gives this covered patio a regal aesthetic. A&E Construction's expert masons can help you design the perfect pattern for your patio.